Every Munchkin needs a place for their stuff. The Munchkin Flower Cashes In Playmat has spaces for all the loot a munchkin could ever want. 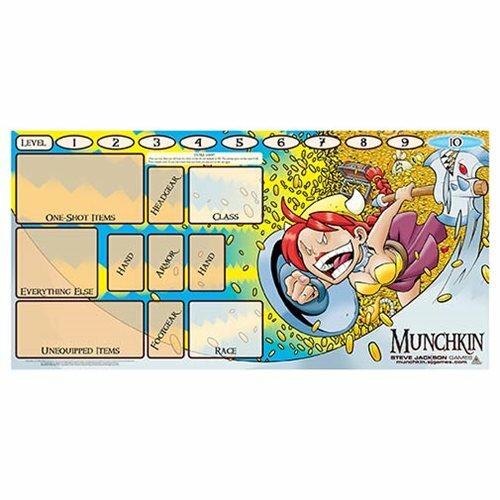 The Munchkin Flower Cashes In Playmat is a must have for gamers that play Munchkin. Please Note: Game components are not included.